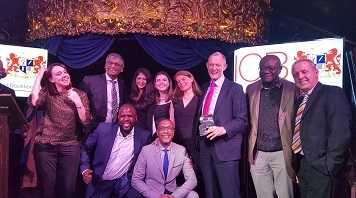 London South Bank University (LSBU) has won Accountancy College of the Year in the Public Sector category for the second year in a row at the PQ Magazine Awards. This year PQ Magazine received a record number of entries for the awards overall, and LSBU were up against a tough line-up of competitors for the category, including Belfast Metropolitan College, CIPFA, University of Derby and Gower College Swansea. 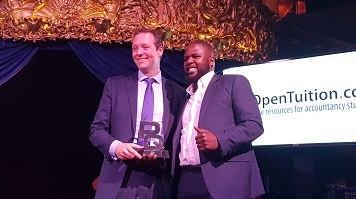 LSBU alumnus Tyson Nsimbe won PQ of the Year. Sarah Moore-Williams, Director of Education and Student Experiences at LSBU, often invites Tyson back to talk to LSBU students to inspire them to achieve their ambitions. Tyson was also LSBU's alumnus of the month in December 2017, for his continued work with the University. On the evening Mike presented Rahil Mahmood with the LSBU-sponsored Apprentice of the Year award. LSBU offers a number of apprenticeship courses ranging from level 4 to level 6 qualifications in project management and Chartered Manager Degree to other industries and sectors such as construction and health.